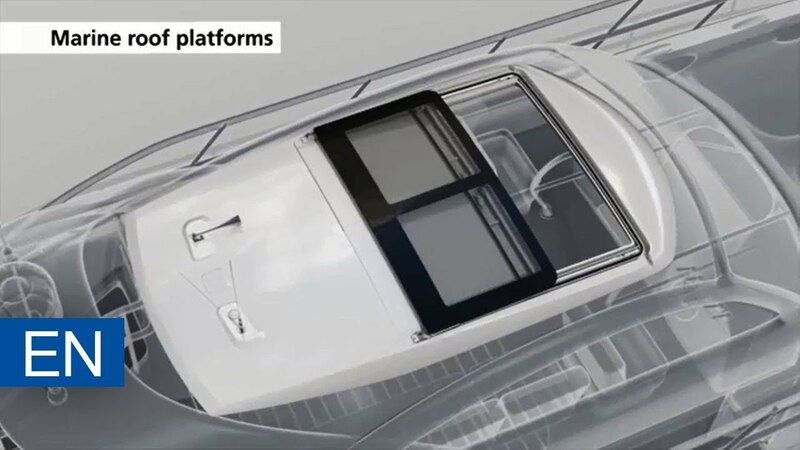 A completely dedicated sunroof solution whereby application engineering and a close cooperation with the shipyard is required. The roof is delivered fully tested, pre-assembled and ready-to-be-mounted. The frame construction is supplied as a module which facilitates the installation on board. This innovative roof development approach requires application engineering and close cooperation between the shipyard and Webasto. The roof is delivered fully tested, pre-assembled and ready-to-be-mounted at your shipyard.